NBA superstar Lebron James set the internet on a frenzy last night as he debuted his colorful Nike Lebron 11 sneakers for his 11|11 Experience event in Miami, put together by Nike Basketball to celebrate the launch of the Lebron 11 sneaker. 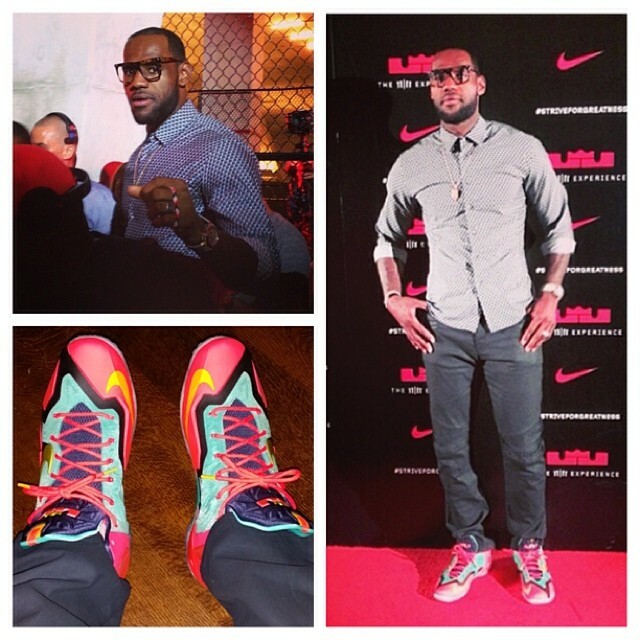 For the event Lebron wore his flashy 1-of-1 kicks with denims, print collared shirt, and fashionable pair of eyewear. 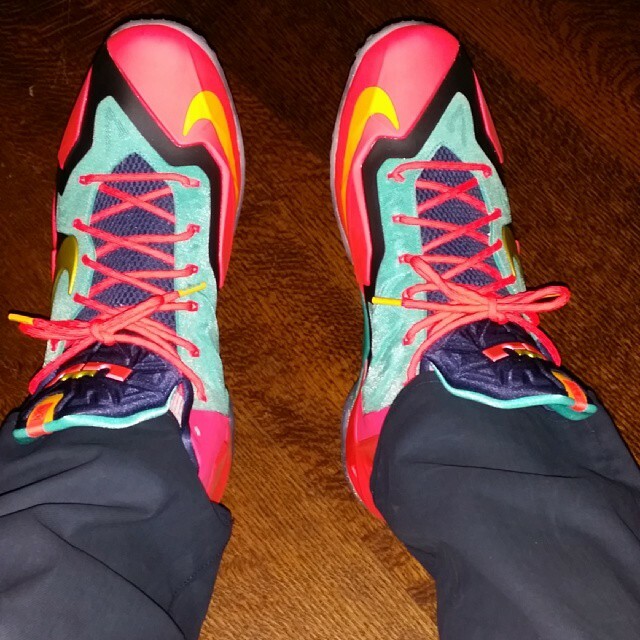 What do you think of these virbrant 1-of-1 Lebron 11 sneakers? ?